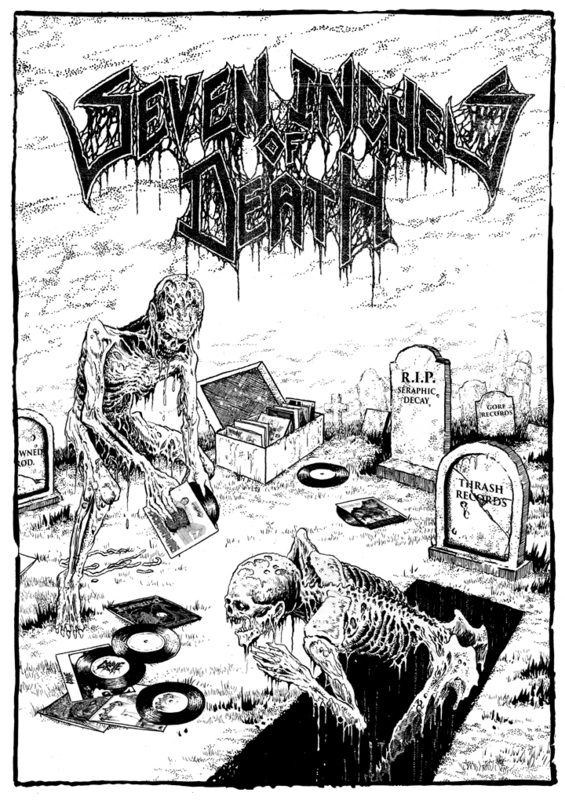 Book cover and logo illustration for SEVEN INCHES OF DEATH, a lengthy and detailed tribute to the 7″ EPs of the late 80s/early 90s era of underground death metal music. The book shares the stories behind these collectible records per the artists themselves. Don’t miss out on this book, it covers one of the most important times in metal history; and one that is dear to me.